The ladies enter and receive a "secret sister" who keeps them encouraged throughout the year with gifts and cards. A banquet is held annually the Saturday before Mother's Day for a time of fellowship, entertainment, and a message honoring the ladies of the church. The event is held on an off campus located which changes each year. Ladies are encourage to bring their friends and relatives with them! 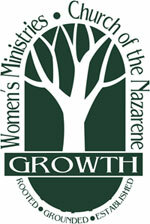 Each fall the Women attend a conference solely for women. Information is announced a few months in advance.